Louisville Distilling Company tells BourbonBlog.com that they will soon release a limited release of Angel’s Envy Rye. A super-premium whiskey of uncompromising character and quality, this divine creation will only be available in small quantities in less than a dozen states – making it hard to find, but worth the search. Angel’s Envy Rye is a classic example of famed Master Distiller Lincoln Henderson’s passion for experimenting outside of conventional norms and producing unique expressions steeped in tradition, but finished with a twist. Angel’s Envy Rye is aged and conditioned according to Lincoln’s specific direction and intuition. A self-proclaimed malcontent, Lincoln chose to use 95% rye and 5% malted barley and aged the whiskey for at least six years in in American new charred oak barrels. He then finished the whiskey in hand-selected Caribbean rum casks, which began as small French cognac barrels, for up to 18 months. The mingling of raw, spicy and earthy rye notes paired with the sweetness imparted by rum finishing, results in an ultra smooth and accessible ultra-rye whiskey, even at 100 proof (see tasting notes below). Due to the scarcity of the special barrels and the intricacies involved in the finishing process, Angel’s Envy will only release 2,500 9-liter cases. The suggested retail price for a 750ml bottle, which may vary by market, is $69.99. Angel’s Envy Rye is 100 proof and 50% alcohol by volume. The Louisville Distilling Company gave Lincoln complete creative freedom to achieve a specific taste profile for Angel’s Envy Rye. An inaugural member in the Bourbon Hall of Fame, he prefers the original way of producing whiskey – making decisions based on the specific taste profile he wants to achieve – even if it means releasing in select markets and limited quantities. So far, it has served him well. Angel’s Envy (flagship) finished 2012 as the 5th fastest growing whiskey. Wine Enthusiast Magazine awarded Angel’s Envy 98 points – the highest-ever rating for a bourbon. The world’s best bourbon also received a 93 rating from Whisky Advocate and was named the 2013 Editor’s Top Pick Award Of Excellence by Beverage Industry News. 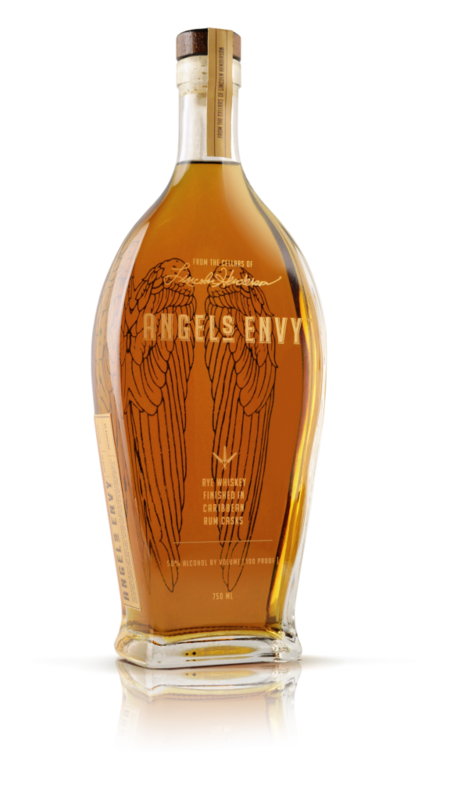 And BourbonBlog.com continues to be the first to review Angel’s Envy whiskies as we will bring you our video review of this new release soon!